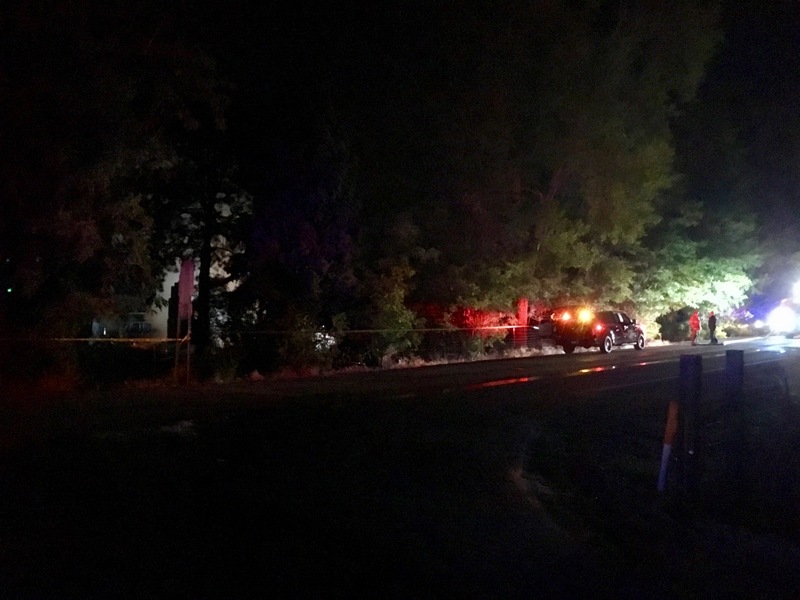 A Kuna Police officer and an Ada County Sheriff’s deputy shot at an armed home-invasion suspect at a residence in the Linder/Amity roads intersection late at night on Sept. 27 – about 15 minutes before that home went up in flames. Two residents in the home at the time of the fire have died. Another body found inside the burned wreckage is strongly suspected to be the man with the gun who deputies shot at. Ada County Coroner officials have publicly identified the man as 35-year-old Pavel L. Florea. Investigators are waiting for Ada County Coroner’s officials to determine the cause and manner of Florea’s death. Kuna Police Officer Sage Hickam and Ada County Sheriff’s deputy Chris Matkin were not injured in the incident. Officer Hickam has been with the ACSO for 10 years. Deputy Matkin has been with the agency for 4 years. Investigators spent over 18 hours at the home in the 1500 block of West Amity Road searching through the burned remains and processing evidence — and working to figure out what happened. The incident began around 10:30 p.m. Sept. 27 when a resident of the home called 911 to report a prowler. That caller said she heard pounding at the door and could hear someone trying to break in but didn’t know who it was. Kuna Police and ACSO deputies arrived moments later and found the man, holding a long gun, coming out of the home. A verbal confrontation ensued. Deputies told the man several times to put the gun down but he refused. A short time later, deputies fired at the man. He went back inside the home and refused to come back out. It is unclear if the deputies hit the man, or if he fired the long gun he was carrying. Deputies were in contact with the woman who called 911 who told them there were two other people in the house and none of them knew who the armed man was or why he broke in. By 10:45 p.m., the house was on fire. Deputies broke out windows and tried to direct the residents out of the home. Two of the adults – a man and a woman – inside were able to get out. The third, an elderly woman, was not. Paramedics treated the two residents at the scene and transported them to the hospital. One of the residents was flown to the Salt Lake City Burn Center, where he was pronounced dead by the afternoon of Sept. 28. Deputies who set up a perimeter around the home did not see the armed man get out. The remains of Florea were later found inside the house near where the armed man was last seen. 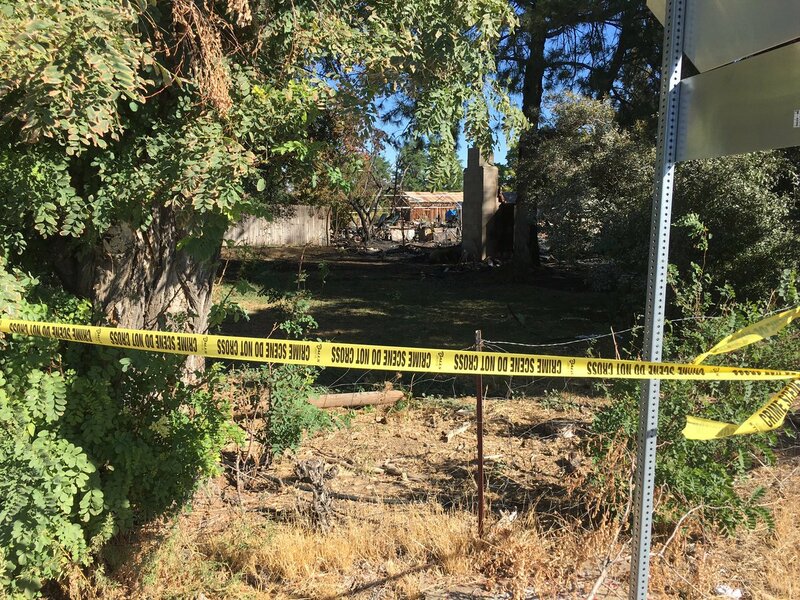 Meridian and Kuna Fire crews arrived shortly after the fire began but were limited in what they could do since the man with the gun was still suspected to be inside the home. Meridian and Kuna fire crews kept the blaze from spreading, but the home was a total loss. The extent of the water, smoke and fire damage to the home made the collection of evidence – and the removal of human remains from inside — a long and complex process on Sept. 28. Investigators made a tentative identification of Florea as being the man with the gun but have not found any connection between him and the family who lived at the home. Investigators are also working to figure out how and where the fire started in the home. They did find evidence gasoline could have been a factor. Investigators are still determining how many rounds our deputies fired. It is unknown if the man shot at deputies. Investigators would like to hear from anyone who noticed anything suspicious in the Linder/Amity roads neighborhood during the end of September or has any other information about what happened. Ada County Sheriff Steve Bartlett wants to thank Boise and Meridian Police; the Ada County Coroner’s Office; Meridian and Kuna fire departments; and the Bureau of Alcohol, Tobacco, and Firearms for all their help on such a complex and demanding case.